I would like to share a true experience regarding a dealer in Singapore. So here is the story, my customer also a very good friend of mine had bought seven pieces of Koi fish at the price of RM23,000 after converting from SGD to MYR from him ever since the first purchased from him in March 2013 and he had promised to send to him last year, August 2013. When the time reached, he gave my customer a reason of Singapore AVA rules to own an export permit, one shall have a proper legit business address and that time he was renovating his new shop and needed another 6 months to be done with everything. After months have passed, my customer contacted him again asking whether the fish can be sent to him already or not and he had a good reason to cover up for himself again saying that all his Koi fish were sick and needed given good care to be healthy and recover back. This issue was dragged another 6 months again and in no condition my customer just had to agree with him and let him treat all the Koi fish until they are healthy. Only about four months back, my customer told me about this problem and asked me to help him whether if the Koi fish can be shipped back to our place. And so I contacted this dealer and he told me he needed to have our side of import permit only to be able to apply the export permit. So, I got my license permit and sent to him via email. Again, with this simple thing of permit it got delayed another 1 to 2 months with the reason my copy of permit wasn't clear and he couldn't see clearly of the license trade for name and address. Until recently end of September 2014, all these things were done and I was glad and told my customer everything will be done and will be shipped by October. And this dealer happened to message me again saying he will be very busy in the month of October as he will be travelling to Japan to buy more fish. I said it's alright but please get me the videos of the Koi fish in order to choose which pieces to send back and which pieces to dispose directly because at that time he told my customer during the treatment when the Koi fish were sick, one of the Kohaku got too stressed and lose all the Beni. He told me he was too busy to take a video to show to me and my customer. Things got bad after that when I said to him, is this kind of service you give to your customers when they paid you in full and in return you don't even spend a few minutes to take a short clip and send to my customer? And so he kept telling me he was so busy and only will be back to Singapore on 28th October 2014. So after his return to Singapore, I messaged him yesterday, 4th November 2014 - to ask him what is going on when even he came back for a week there was no news from him, not even videos or news about sending the Koi fish back. He said he was too busy and he own a big business and run by himself only and has no time at all. All these of the conversation was not made up and I even had the screenshot in my handphone. Argument happened and I said to him I will post all the conversation chat between me and him to my Facebook and Koianswers forum. Without any hesitation he answered me directly to just post everything all up. On the particular same day, all of a sudden he messaged my customer with all his Koi videos and my customer forwarded to me. Honestly all the Koi fish were fully neglected and had turned into African Koi. My customer even told me some of the Koi fish he bought from him were swapped/changed and the bad thing was my customer didn't save the pictures of the Koi fish he bought from him as it was all based about trust in this business. Last but not least, he said something awful to read and hear, he told me or my customer to come over his farm to collect the Koi in Singapore ourselves and he is too busy to send and had no time at all. With another option, he can either send to any dealers in Singapore and ask us to contact the dealer to send to us. I was like WTF is this? My customer bought Koi from you and what sh*t are you giving to us?? So guys, do you think is this a proper way and service my friend got in return by buying Koi fish from him? With all his reasons and excuses given by him, can we accept huh? Any actions can be taken on to him regarding this case like reporting to the Ministry of Trade in Singapore? Brothers and sisters, your advices are really, really appreciated. From 2012 untill end 2014 still waiting for the koi is like waiting for an airline that took off but never arrives. Pity your friend (or is it you?) that had to wait yor years for 7 fishes that yet to arrive. Please share with us the name of the dealer here us to avoid. You can report about this provided that you have the relevant paper works, tax invoice, photos etc. Honestly - appoint a SG lawyer to sue him right away. I think your friend has got a good case. Hi, you can lodge a complaint with the Consumer Association of Singapore (CASE), https://www.case.org.sg. Do share this dealer name so we can avoid them in the future. Thank you. Please share more. Like address. In Pasir Ris or Neo Tiew or where? Brothers here will all support you against such unscrupulous dealer. Hi brothers. Thanks for the advises given and my friend had planned not to lodge anything about this but spreading this news wide so this can be an awareness to every single Koi Kichis in the world. For all the brothers and sisters to have interest to know who is this scumbag dealer, please do PM me to avoid any cases of me being sued of defamation. Thank you guys! Opps! The other side of the story comes out now. Parties should sit down and mediate. All kois brother should find an amicable solution and be peaceful! This guy said , I sell the fishes to Tonny , I also sell to other , what you feel first ? Tonny hill fishes sick very very badly , I'm his koi dealer , I should treat the fishes right or just don't care let his fishes die ? And now let him talk until I'm do badly , what is yours feeling first ? Want to stand in koi business for 17 years , so easy ? My English are bad I know , if anyone that known me , all know I Pr 6 P S L E also not pass , you guy can ask him , what he said this too me ? Singaporean cannot don't know English meh ? I need to collect shipping cost first than I send out the fishes, treatment cost free for you . If a koi dealer buys several tosai of certain quality at a certain price with a reputable breeder in Japan and the dealer pays for them already to be shipped(no azukari agreement) and then the koi the dealer ordered but still in the breeder premises got very sick does the breeder. What does the reputable breeder do? 1. Ship the sick koi regardlessly? 2. Inform the dealer that the koi got sick and will replace of equal quality and value which will then be ship. 5. No assurance of replacement even of koi dont get well. Since you have expressed your views here, I would like to express my frustration here about the whole transaction. The only issue here is the delay caused by you in delivering the kois which I purchased from you, 7 of them. 1. The kois are very sick. You have used this reason twice. The first time when you used this reason, not a single photo of my kois was being sent to me despite your promise. The second time is few days ago and when you sent the video of my 5 kois, the kois look fine to me and there is no sickness. My immediate question here for you is "Where are my other two kois which are of better qualities which you are supposedly sent back from Indonesia to Singapore?" How could the beni of the kohaku disappear more than 95% after getting sick? 2. The regulation in Singapore has changed whereby you need to have a proper business premises in order to apply for the permits to export the kois. I'm not sure about this requirement since I'm not a Singaporean. 3. You are not free. You only operate this business "alone". 4. You need to go to Japan and very very busy. 5. My agent's permits which are being scanned to you many many times are not clear. The delay on your part has resulted frustration on my side including my shipping agent. Please bear in mind that this is not just RM two to three hundred only. It involves a hefty sum of money. Your delay has also giving rise to a lot of negative thinking and serious doubt as to this transaction and I think this is a very normal reaction for any koi buyer like me. What is more worrying for me is few days ago, you even suggested to me to change all my 7 kois with other kois? What is the reason behind for you to come up with such a suggestion? Since you are very busy over there, isn't it better and sound more logic for you to deliver the kois to my agent as soon as possible so that immediate care and attention on my kois could be taken by me. Here, we are talking about RM20,000.00 to RM30,000.00. I think anyone including you if being put in my position, will feel the same way as me. Imagine you are buying kois from Japan and after paying the money and waited for more than a year, your kois do not arrive at your shop and the reasons given by the Japan dealer to you among others are all your kois are sick!! How would you feel? Your 17 years in this business is not of my concern. As a buyer, what I will look up for is the good services provided by a koi dealer after receiving payments. Actually I have given up on this matter already. In order to resolve this matter amicably, it is very easy. If you think it is too troublesome for you to deliver the kois, its fine with me. You just need to give the kois away to others who can take good care of them or up to you to handle them. If you think you are still able to fulfill your obligation to deliver the kois to my agent, please put down here in writing the date of your delivery and the actual shipping costs required to be paid by me within 7 days from today, otherwise I shall treat it as you can't comply with your obligation to deliver the kois. My agent is ready "at all times" to receive delivery from you. It is your duty and responsibility to complete the last stage of the transaction. I would like to close the matter here and would not be responding to any of your comments unless necessary. I'm busy also with my business. Thanks for bearing with me for such a lengthy message. @tohon99, you and I have made our point. So let him be and see what will he do in order to sustain and make his "17 years business" name cleared. dealer pay back to buyer in total sum. No 1 and 5 definitely no. Bad for customer service and confidence. Which dealer will buy from you in future? No 2-4 I would certainly give as an option to the dealer. He can choose. Surprised both Kelvin86 +tohon99 can be patient for so long. Was it march 2013 or march 2014 when the kois got sick? If one is too busy to entertain a customer, refunding the full amount would be the logical thing to do. Then the customer have the option to go to other dealers. But one has to think, the reason one becomes a dealer is to get customers to make a sale and make some profit right? If one does not take care of one's customers, one's competitor(s) will. If you ask me, hell no! Won't be getting any fish from this seller...EVER! Hi Brother @tswern. There is no error. It was ever since March 2013 for first purchased and was said to send back to us in August 2013. This will be a precaution for us all ahead of the koi show in JB later this month. After verification, there were various purchases in 2013 and part of it agreed to be sent after Odakan event in July 2013.
the funny thing is too busy to take video even for 3-4 minutes.hell this is too funny. So all the member here must avoid this dealer . Firstly please allow me to apologise to anyone whom might have been offended by my bad English. It is no excuse but I really cannot write that well. This is drafted by a hobbyist whom has agreed to assist me in order to avoid misinterpretation. Tonny, I would like apologise to you for this delay. It is not intentional that I was not sending u the kois. I was trying to honour my arrangement with you to make good the free keeping promise, without any guarantee. I want to do my best for all my customers, as such when the fish is sick, I did my best to recover them. Kelvin, I would like to apologise to you too. I blew my top when you mentioned that I might had sold the same fish to different persons. I do not understand why many, in the industry, claim that this is what I have done, even though I can assure everyone that I have never done this, ever. Maybe my attitude, language ability and mannerism created some misunderstanding with others but it is never my real intention. Under the current circumstances, as a gesture of good will, I am proposing that I continue to keep the 5 fishes in Singapore and bring them back to their best, once the 5 fishes are ready to be shipped, I will update and inform you (in about 2 months), we will reconnect again for their shipping arrangements. Please note that there will be cost in Freight for these 5 fishes when they are ready for shipment. With regards to the 2 fishes in Indonesia (they are doing very well), will be shipped back to you at no cost to you. I will arrange with Kelvin on the shipment date for these 2 fishes. I hope that with this gesture of goodwill, we can close this case amicably. Thank you for admitting your fault in delaying. I regret to say that your paragraph 4 is misleading. I would like to set the record straight that there is no such thing that you assist to keep my kois for a period of time free of charge. The purchase price that I paid includes the keeping charges imposed by you for a certain period of time. The time period for keeping the kois has lapsed long time ago and you are supposedly to deliver to me as soon as the time period ends. Please don’t use this as an excuse to justify your delay. Regarding my 5 kois which are kept by you in Singapore, since your answer given is still the same as before without any date fixed, and the 7 days’ period has lapsed, and further I have no confidence that the kois could be recovered from such a deteriorating conditions, therefore kindly give the kois away to someone or up to you to handle them. Regarding my 2 kois which are kept by you in Indonesia, kindly send the video to my handphone showing their conditions and your business signboard to be included and to prove that they are being kept in your premises in Indonesia within 24 hours from now. Since these 2 kois are of higher quality, kindly liaise with Kelvin within 2 days from now as to the exact date of delivery, failing which, I shall treat that you can’t fulfil your duty to deliver my kois and kindly follow the same steps in paragraph 3 above. I uphold this highly as my philosophy of life. Hope it makes sense to you. You can contact me anytime as my phone is never switch off. Please arrange an actual date of the two pieces in Indonesia sending back to Kuching with the shipping costs bear by you as quoted. I will help Tonny with all the import permit arrangements. This my Jakarta pond , My staff just take one hour ago , I not at Jakarta , My staff cannot pick up the fishes , Only can show you hold pond video. Jacky, u r really putting your foot in your mouth lah. I hv been in this hobby for quite sometime, I hv NEVER come across a koi helper who does not know how to bowl the kois. Even very expensive kois also they can bowl. Even Bangla's can bowl the kois not to mention Indonesians. In malaysia also got 1 guy like this..probably u guys should contact each other and form a new company...i just cant think how lovely when u guys work together! I only can said , I'm a koi dealer , customers fishes very sick for the pass few month, very not healthy , if I send sick fishes out , I think I'm a bad dealer . I have bought many batches of koi from a dealer in Penang. There were cases of " Koi not in Good Condition." before shipment and the dealer will notify and arrange for refund/credit immediately with no issue.. I dont even have to ask or request. That, I called Sensible and Logical. We are still buying from this dealer todate. In this case, we assume the dealer should know what to do since he is so many years in koi business. Just my thought as a customer..
For a hobbyist who had been extremely patient waiting for fish paid long in advance and ending up getting nothing but excuses, this is very VERY SAD to know. It is indeed a wake-up call for all hobbyist to remember and learn to never allow such unhealthy practices to continue. Personally, the manner of how Tonny's fishes had been delayed and never delivered is appalling. I am sure it will send "chills' across to all of us here in this forum to ensure we deal with honest, sincere and trust worthy dealers both now and into the future. It is 10 times more expensive to lose a good customer than to gain one because he will tell another 10 of his bad experiences plus his 10 other friends will spread and multiply that to 10 more. This bad experience has already read by more than 100 people to say the least!!! Jacky, since the kois became sick while in your care and instead of making it get better it became worse, don't you think the "Honorable" thing to do is to give your customer a "Full Refund" instead of giving so many really Stupid excuses? If not refund, why not other fish as replacement of similar quality? If fish bought and dealer shipped asap, sure not responsible. As long as the fish is still in dealer's hand or care, there is no way rid of responsibility. The dealer is RESPONSIBLE. The longer the dealer keep the fish, the bigger responsibility and risk. I wonder why not consider refund as it may be the best alternative and a win win situation. Otherwise, this case will cost more than the 20-20K. Like Bill said: "It is 10 times more expensive to lose a good customer than to gain one because........ This bad experience has already read by more than 100 people to say the least!!!" In fact, many more people have read this experience and I wonder what is in the mind ?? BRo Jacky what do you mean is more then a month ? i think is your side to delay right ? for those who has pay for Rm23k sure we want the fish ASAP , yes refund is the best way to show you are the best dealer , some more how come take about 1 year to ship the fish ,and fish sick for that long ? ayooo..like this ka...the fact is u delay the shipment...not the buyer!!! Malaysia Ringgit 20 to 30k can't make u rich la friend!!! We are in no place of telling Bro Jacky what to do. But a little loss from his part will gain a lot of respect from us. Isn't that true Brothers? 2 days have lapsed again and you still can't tell Kelvin or me the exact date of delivery. I have seen the video you posted. Your video does not include your business signboard and proof that my 2 kois are currently being kept in your business premises in Indonesia. The inevitable conclusion is that my 2 kois are no longer under your care and custody. If it it otherwise, please show it here within 24 hours or such extended time that you are required to do so. Few weeks ago, you also texted and informed me that one of your customers is interested to buy my Goshiki. At that time, I had a negative thinking that you must have sold my Goshiki to someone else even before you asked me. But, to give you the benefit of the doubt, I refused your request and asked you to send the Goshiki back to me. Sadly until now, there isn't any promising statement from you regarding the delivery. From your video, I could see my Goshiki and it looks fine and healthy. But my heart is very painful when seeing my Showa inside your video. It got the 4th position in one of the competition held in Indonesia. But now, its condition has deteriorated to such a stage that its belly has bulked out and whole body shape looks abnormal. I believe those hobbyists who have seen your video will notice this pitiful Showa, it has become the worst Showa in your video. How could this happen to a good and responsible koi dealer? Regarding your latest post, I strictly deny that it was my request to you to keep my kois. Please think correctly before you write. I would like to thank you for your support in this forum. I'm glad that all of you could see what goes terribly wrong in this transaction. No matter the amount is big or small, one thing I'm very sure is that it is from my hard earn money. I put no more hope in this transaction. But I'm still very peaceful and joyful because I know I owe people nothing. Tonny Hill, very easy , if you not believe that is my pond at jakarta , please fly over to see ok , I dont like to said this ok , you make me said , I m still busy with my work at singapore , i still no time go jakarta to packs yours fishes , this very sorry , after i finish my job at singapore i will let you know which day i going to send. 2 time goshiki entry fee and one time showa entry fee at indonesia koi show, can pay before i send out the fishes ? To be honest, is this a way a dealer treat their valuable customer by asking them to fly over to see the Koi when the dealer himself can't fulfill what he has promised more than a year back? A fish can be sicked for 6 months and was about to ship time, the fish was told to be sicked and needed to be treated for another 6 months again? All these nonsense reasons were given after and after again and we just can't accept it anymore with these pointless arguments with such dealer. To all brothers and sisters, all of you can see and judge yourselves whether who is the one saying the truth or not. A reputation for 17 years is not easy to build but to destroy it, it is as easy as ABC in a mere second. I did not receive any message or reply from him regarding sending the fish back to our place, Kuching. By the way Jacky, my friend's name is Tonny Hii not Tonny Hill. You can't even get right with your customer's name, how could you sustain in such business when such simple thing you can't even remember. Again I say, stop using this stupid nonsense and reason to your customer that you are too busy and ask your customer to fly over just to see the fish. It is your responsible as my friend had paid you in full amount of RM23,000. If this is your way of doing business and treating your customers, then I assure you, you will never stay long in this line no matter what your 17 years of experience is, they will be gone into the deep ocean. I personally feel we as hobbyist have the strength and "customer power" to STOP BUYING from such unscrupulous Breeder or Breeders. It is good to know that we can safely share our bad experiences and highlight unhealthy ruthless dealings of such nature. It is also positive and good that we pen compliments of "great" customer service from Breeders who have/had demonstrated and shown excellent responsible and accountable business practices. My heart goes out to those besides Tonny who had experienced shameful business dealings and we learn never again to buy from such Breeders. I have had my share of knowing from other hobbyist who to trust and purchase from and whom not to go near with a 10 foot pole. Thank you Kelvin and Tonny for sharing and with that my sincere sympathies. Is this your so called Show Quality Showa Tonny purchased from you that entered into Show? You can judge yourself from a normal nice Showa that turned into a goldfish? Became a deformed Koi under your care? Please advise us. this so call singapo business man..so.. all member here we should know what to do ...in future . ha..
Saying if a customer bought a full cabinet aquarium from me. He made full payment. The cabinet is ready while my customer still not ready to collect it due to renovation. Period is 1 week. I place it in my shop. But in between the period my shop been broke in. The cabinet gone. I would definitely ask my customer to forgive me in 1st sight as i couldn't send the cabinet to him in time. Secondly i would either ask whether my customer want a full refund or wait for another cabinet. At the end my customer choose to wait for a replacement n after i set up the cabinet for him, he bought 9 pcs small japanese koi from me. It looks like JK Koi Centre is building its reputation very quickly in the KOI community with this case hanging in limbo. As all hobbyists look on, the longer the delay, more damaging for the dealer. Of course, the good news for Spore/Malaysia Koi dealers is that, they will have one less competitor very soon. That showa is on a diet? Seem to have pop-eye now. I'm been in this hobby only for 2 years plus, and come across many koi dealers. When i buy koi from my regular dealer, I choose the kois, they qt for me, my dealer collect payment from me on the collection day after I check the koi quality. My dealer do not accept the payment until Qt is complete. Now that is what I call a reputable dealer. Some other new dealer would collect payment when I pick the koi. If the quality of the koi drops during collection, the would immediately offer to change or refund. So where are we here? <blockquote rel="urbaneffects">Bro Herman point taken. Seems like no one here stand up for jk koi. How about its reputation on other forums? For example the sg and indonesian forums if any? Last year end 2013 , Tonny did said to me want to send back some of his koi at Singapore , only the Isa 5 step Showa still let me keep . I told him now I cannot send the fishes to him because I don't have export permit , I need to open my new shop , get my import & export permit than I can send the fishes to him , this he agreed too . I forget is Aug or Sep , Tonny hii call me agains , ask me ship his fishes , he send me his dealer document , but not a clearly want , I did told Tonny, not clear , I cannot see , please ask yours dealer send me a clearly want , he said his dealer will send to my mail , I waiting his mail about a month , his dealer did not send to me at all . About a month waiting , his dealer call me up , said he did send me a mail , but I told him I did not get any of his mail , ask him send agains . I also forget is which month , Tonny hii send me a whatsapp , said all his fishes he don't want anymore , all he give to his dealer , I said to him , is yours fishes you want to give who I don't care , I will just send the fishes to him . Oct 2014 , before I go to japan with my customer , I think that day was Monday , I did told his dealer , please send me yours document , only today I can do the health certificate , if you did not send me today , I don't know which day I will be free agains to do the health certificate , he told me he busy , very busy , cannot send me on time , the same day Monday night he call me , said can send me now , I told him , sorry , today you cannot send , have to wait until I japan back than I can do , he said ok , wait I japan back Singapore first than do , I did told him , I will be back on 28 Nov .
29 Nov , very early morning about 8 + am , his dealer whatsapp me agains , ask me when can I send the fishes , I told him , very very sorry , I need to go back japan on next 2 days , I cannot send this 2 days . You know what he start said ? He said he cannot believe I'm so busy , don't cheat him I go back japan agains , also said until I'm so bad , he said he believe I have sell away Tonny hii fishes . This few day , I think think back , Tonny hii some fishes did ask me enter koi show , some entry fee still not pay up , now his fishes give to his dealer , than this entry fee I collect from who now ? Tomorrow I have very big shipment from Japan send to Singapore , I need to finish all this job than I can go Jakarta to pack yours fishes and send to you . I only can do this job , my staff at Jakarta cannot do this job at all . 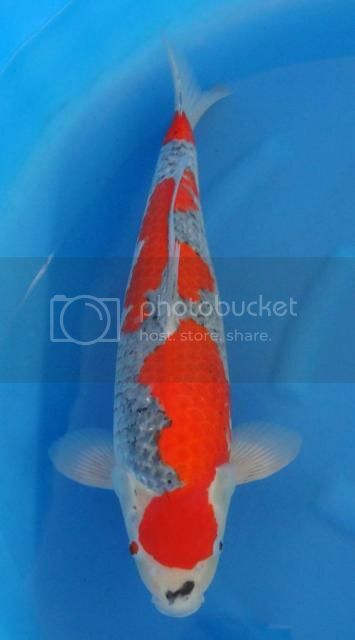 This Showa has enter koi show 2 time , also from 40 cm grow to 50 over cm , now this thing happen , can said no guarantee , no replace or refund money back . But my feeling feel not so nice on it about this happen , I will like to replace you one fish back from my Jakarta pond , when I back Jakarta branch , I will pick up a few momotaro Showa show you video , let you select one of it , hope our case can close soon . Yours Singapore fishes , if yours dealer did come to JB koi show on 30 Nov , I can pass to him on this day . Hope you can pay up the 3 time koi show entry fee , if you feel don't feel like to pay , than forget it ! Good morning. The keeping requirement was imposed by you as you asked me to let you earn a bit more in keeping charges which I agreed but don't forget there is a time frame fixed by you also otherwise it would not be fair to you to continue keeping my kois for an indefinite period of time. The time has lapsed long time ago. For those kois which are not under this arrangement, based on my record, I had immediately asked you to send the kois back to me as early as August, 2013. But your reply was you were very busy. I think it would be a waste of time for us to list out all the past events in details here. Suffice for me to say that the delay is a delay which has complicated the whole transaction. Regarding the issue of the entry fees, from the records, you did not request for the payment all these while. This is the first time you raise this issue of entry fees here. For your offer of replacement of my koi, I think no need. Just use this as a set off against your entry fees. For Singapore kois, it is not worth to ship back in view of the poor conditions. For the Goshiki in Indonesia, if you want to ship back, just liaise with Kelvin about the date of delivery. Please take note, it has to be within this year 2014 and the koi's condition must be good, otherwise, forget about it and we won't entertain this anymore. I would like to close this matter here. I guess I have sent the screenshot of the chats between me and Jacky to some of our members here and based on them, you guys can actually judge the whole situation yourself with the words he was using during the chat and proved himself as a fool. He is the only big businessman that can be busy while others can't I assume?? I was busy during the day on that particular Monday and at least I manage to get the full details sent to him that night, Monday. Stop making a pure fool out of yourself Jacky. You are just covering reasons with another reasons. I believe most members in here including other forums many have known on this case already. You are just an irresponsible dealer, no doubt about that. For the members that have missed out the screenshot chat, feel free to ask from me and I'll send to you. I'll end my last comment and reply here and is such a waste of time spinning around things for more than one year already. Thanks a lot guys for the wonderful reply made in here to know what kind of an actual dealer he is indeed. This forum is international forum...lot of indonesians, singaporeans, malay, vietnam, etc...sure jk koi name will be in our memory for longtime..bad memory to be precised. I have my fair share of disappointments with JK. Like other dealers, some fishes don't turn out what was expected, few even died in his care. But I will still continue to buy from him, as I feel, he treats me as a customer with his heart. Nothing could cover the loss you experienced. My fishes are elementary level and nothing fantastic. Allow me, as a fellow hobbyist, offer you this piece from my pond if it could even slightly alleviate your disappointment. Jacky, if Bro Tonny agrees, please come my house, pack and send. Have been asked.. no worries k, she is doing well in my humble pond. Thank you for sharing with us your experience and your offer to me. I have been buying kois from other dealers as well and I know as a buyer, I have to assume the risk as mentioned by you above. But on the other hand, the dealer must make sure that the kois are to be delivered as soon as possible because we are dealing with live stocks here. The longer the delay is, a lot of unnecessary complications and frustration will arise which could be totally avoided if reasonable effort is being put to deliver the kois early. I also keep some of my kois with the other dealers both locally and abroad and when the kois are harvested, some of them are of poorer quality and some of them are injured or sick and so on but no issue at all with me with my other dealers as it is my choice and within the agreed keeping period and more importantly those dealers are very responsible and keep me updated all the time. They never delayed in the delivery ONCE PROMISED!! This is their level of commitment and professionalism. Since this transaction is between Jacky and I, I don't think it is fair for you to offer your koi to me. Please accept my apology to decline your offer. I understand the risk on my part during the keeping period but after the keeping period and if there is any delay, the dealer is responsible and even so, I still didn't demand for any replacements or refund because I don't want to further complicate the matter, just want to resolve it soonest possible. I just hope that I could receive the last piece of my Goshiki. That's what I'm looking forward to. I just don't want to talk too much about this anymore. Bro tohon99...noted on your statement.. Thank you Brother. Will update if any development. I hope you are able to get over this episode quickly, there is so much more to discover in this hobby! Continue your role as a keyboard samaritan, i wont question your intentions. I certainly enjoy this hobby very much. Cheers. I have been busy and very seldom that I come in and read the comments in the Forum. For what ever it is, I honestly hope that this particular problem will be solved soonest possible. From the Forum stand point, we will only interfere if the threads and posts are damaging to the image of Koianswers. This Forum is about information sharing especially on Kois and things related to Kois. I hv been reading this post for q sometimes. Hobbyist and dealer have said enough. I personally regard this post as bonafide thread. It's a floor for us to voice out our concern with regard to this hobby and at the end of the day we hope that everybody will learn something. All parties are free to voice out their perceptions and freely can defend themselves. The good thing about it, no foul language was used. At the end of the day, we are just human. We make mistakes either intentionally or not. I sincerely hope this chapter will be closed in good brotherhood nishikigoi spirit.